Mary's Christmas surprise may make this the best holiday ever. “I’m home!” Mary’s words echoed in the silent darkness of her parents’ house. Her announcement was living proof that, as Mom said, old habits die hard. For a few seconds, she’d forgotten no one was home. An excited bark sounded from the kitchen. Well, no one was home except Riley. Stepping into the foyer, Mary set down her suitcases, turned on the light, and then made her way into the kitchen as a playful yip greeted her. Riley was in his crate. On the counter, his leash and box of treats sat beside a piece of paper inscribed with the vet’s phone number and care instructions in Mom’s handwriting. So, maybe coming home would do some good after all. Keeping Ri crated while Mom and Dad were gone bordered on cruelty, but Mary understood. Leaving him at the kennel for weeks while they were on their anniversary trip would have cost a fortune. Tomorrow, Mary would call the neighbors and let them know she was home and could take over the Riley duties. She squatted and struggled to unlatch the door of the now rocking crate. Before she could pull the door open completely, seventy pounds of black lab bounded out, knocking her to the floor and covering her face with dog kisses. “Hey, buddy. I’ve missed you, too.” As she pulled him close, he nuzzled her shoulder and whimpered. At least one man in this world, besides Dad, loved her. Something startled her awake. Her bedroom door had been pushed open. She reached her hand out to Riley’s side of the bed. It was empty but still warm. Where was that dog? As she rolled out of bed and put on her robe, a series of rhythmic slaps sounded below. Someone, definitely not Riley, was walking across the tile floor in the foyer. An intruder. Anyone who’d been watching the house would know her parents had been gone for weeks. Her heart pounded, the blood throbbing in her ears. Dad had always said Riley would probably lick any burglar into submission. But Ri should have at least barked or whimpered with joy while he was doing it. She’d heard nothing. The truth rose up in her throat. Riley was probably drugged or dead somewhere. She grabbed her phone and tiptoed as lightly as possible toward the closet. After silently closing the door, she crouched in the far corner. Heart racing and fingers shaking, she managed to dial the police. “Someone’s broken into my house, and they’re still here. I think they’ve killed my dog,” she responded, her voice barely above a whisper. As the spoken words hit home, tears filled her eyes. “What’s your name, and where are you?” the operator asked, her voice steady. Maybe not. What if the police didn’t make it in time? What if he found her first? She absolutely needed a way to protect herself. In the far corner behind some prom dresses stood her old tennis racket. That would be her best choice of weapon should the intruder find her before the police arrived. She crawled over, sat, and placed it diagonally across her body. Some shield this would make, but it was better than nothing. She wouldn’t give in without a fight. Question 1: Mary’s favorite Christmas ornament is a carved gourd her father made. What is your favorite Christmas ornament, and why? Question 2: Jake’s favorite Christmas tradition is cutting a live tree. What is your favorite Christmas tradition, and why? Question 3: Remember a time in your life when all was bleak and you felt nothing was going right. How did God redeem this time for you? Question 4: Jake has trained for years to be an architect, but deep inside he knew God wanted him to follow other pursuits. Has their ever been a time in your life when God surprised you with a roadblock across your path? What was your initial response? How did time affect your reaction? 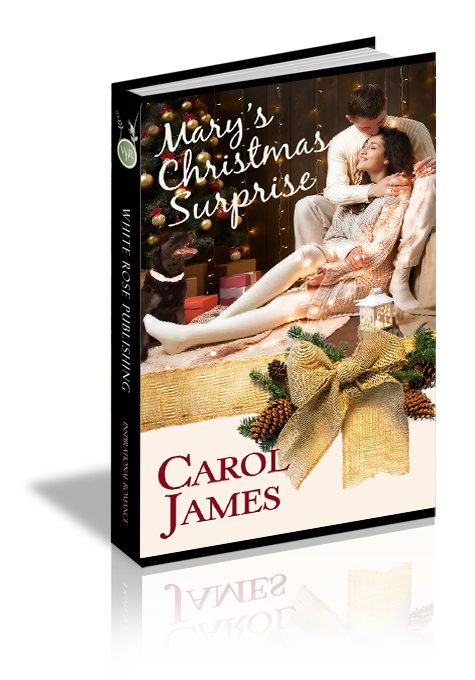 Mary's Christmas Surprise is a great read. The characters and their emotions are varied and interesting. A heartwarming seasonal story.